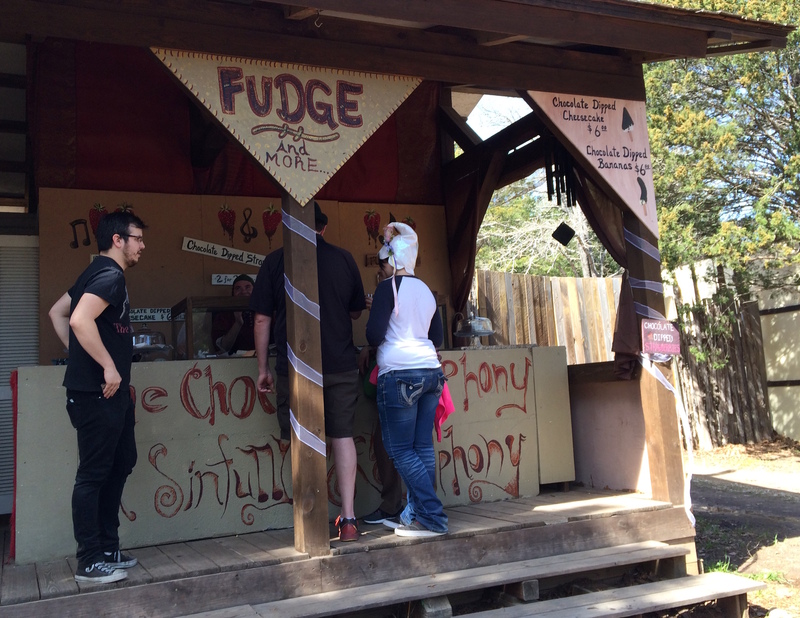 When wandering about a Renaissance Faire, one does not expect to find a vendor of fudge. But wonder of wonders, back in one of the far corners of the Sherwood Forest Faire in Paige, TX, we found the most awesome fudge in the world. Except for mine, that is. Sherwood Forest Faire is a small faire close to Austin. One of the vendors told us that this year, they saw 3,000 through the gates on opening day, compared to 36,000 on opening day at last year’s Texas Renaissance Fest in Plantersville, TX. We went to the Texas Ren Fest last fall, and I have to say that the smaller faire was a far more pleasant affair. Fewer people. Lots of space to wander. Big enough to spend the day, but small enough that you weren’t rushed to see everything. Open design. You didn’t feel herded from one location to the next by a strict, well-defined path. You could pretty much go anywhere you wanted using any way you wanted. One of the reasons we like ren fests is the food. Sherwood Forest offered an incredible variety, from the usual everything-on-a-stick to delicious handmade crepes. I expected to find the usual things like funnel cakes and turkey legs, but imagine my surprise when we rounded a corner and found a fudge shop right in front of us. The Chocolate Cacophony offered ten or so flavors of fudge, plus an assortment of chocolate-dipped foods–strawberries and the like. I decided to try the plain chocolate fudge. If you’re going to form an opinion about fudge, start with the gold standard, right? I also picked up some peanut butter fudge for a change. What a treat! Creamy, smooth, melt-on-your tongue chocolate flavor. One of the best fudges I’ve ever tasted. The peanut butter was white chocolate fudge marbled with real peanut butter. Loved it. 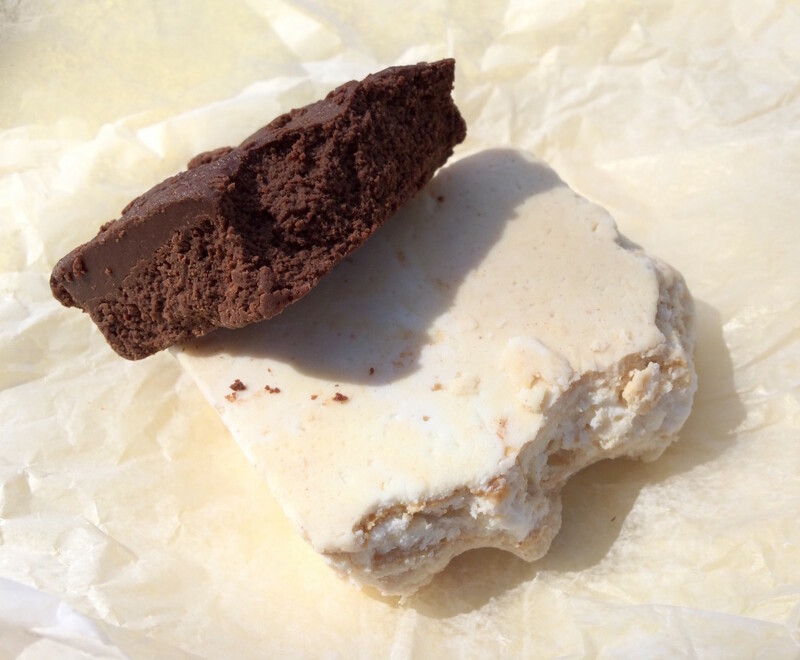 I would go back to the festival just for some more of that fudge. It was that good. 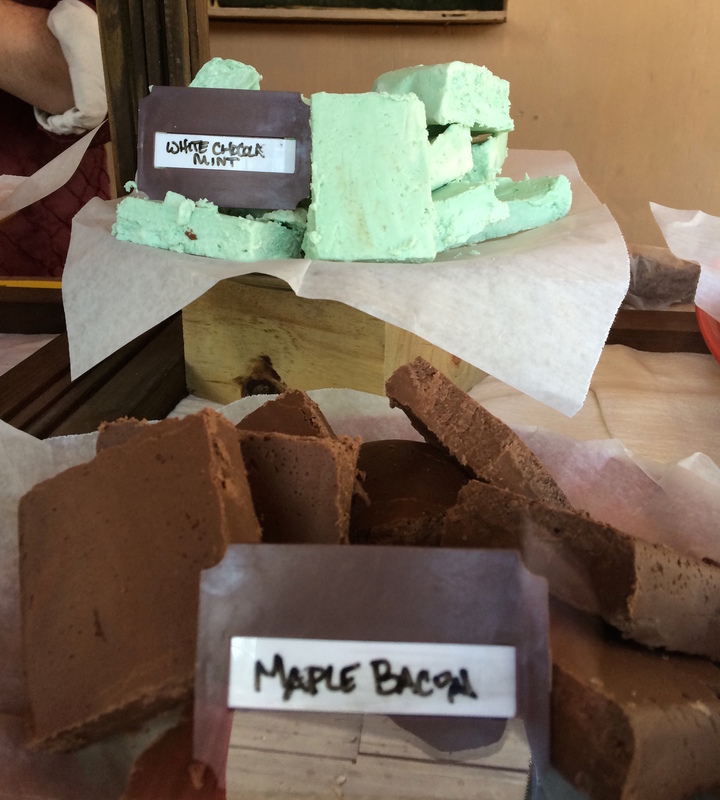 If you’re in the Austin area and you’re in the mood to travel back a couple of centuries, I highly recommend Sherwood Forest, if only to get the fudge. Weekends, Feb. 7-March 29 and Friday March 20, 2015, 10 a.m.-Dusk. Discount tickets at participating Austin-area Walgreens.